By combining the art of content creation with the science of inbound marketing, we create entertaining and engaging marketing strategies, bringing our clients and their customers closer together. We’re entrepreneurs who believe that great marketing requires the right balance of art and science. Before starting Tobe Agency, we’ve been business owners, marketers and creatives. Because we’re entrepreneurs at heart, we love working with small- to medium-sized businesses and understand the unique challenges we all face in growing our businesses. Outside of work, we’re a unique bunch. We’re world travelers, sports enthusiasts, photographers, videographers, writers and DJs… just to name a few. We founded Tobe Agency because we believe companies need to take a more modern approach to marketing in order to build more meaningful online connections with their customers. Modern marketing is about getting your target customer to come to you by creating value for them before asking for the sale. By creating and distributing remarkable content which provides help to solve problems that your customer is facing. There’s too much noise out there on the Internet to build a relationship with your customer any other way. 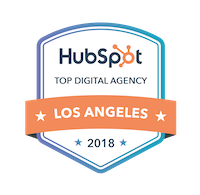 Ultimately, we want our clients to hire us to help them build more meaningful connections with their customers by taking this inbound approach to digital marketing. Our approach to marketing works best for B2B or B2C products or services that have a longer sales cycle and high dollar value conversions. It also works especially well for brands with products or services that are specialized and require deeper explanation. Think we might be a good fit for each other? Reach out for a free inbound digital marketing consultation! We're an idea meritocracy: We seek the unbiased truth and base our decisions on facts and data. We value independent thinkers and productive disagreements to discover the truth. We value technology: Especially when it comes to building digital marketing campaigns. Using great technology allows for better accountability, transparency and repeatability in marketing campaigns. We acknowledge mistakes: We're not always right, but when we're not, we admit it quickly, minimize the losses and turn learnings into an investment for the future. We treat clients like partners: We identify and share common values and interests. We are reasonable and have consideration for each other. We treat each other as if we are on the same team. Be present: Have the intention to focus on what you are doing right now – without being distracted by the past or future. Be self aware: Have the emotional intelligence to understand your thoughts, feelings, motives and desires – and how they affect those around you. Be accountable: Deliver when you say you're going to deliver. More importantly, if you don't deliver, own up to it. Be coachable: We hire the coachable people and invest time to train them — this industry moves fast. We value coach-ability over experience any day of the week. Be flexible: Don't gravitate toward what you're comfortable with. The most growth happens when you're out of your comfort zone. "Strong Beliefs, Loosely Held": We value people who understand when to be open minded and when to be assertive.